How could one resist the offer of a run around Sherwood Forest and Clumber Park even if it was 30 miles? 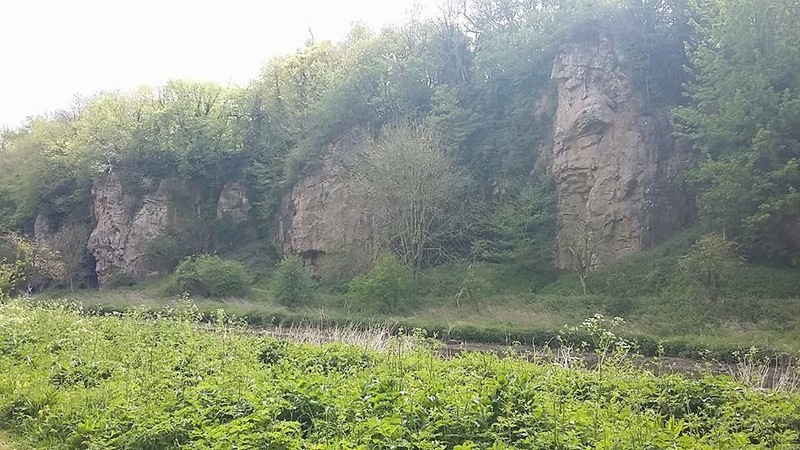 A very early start saw Rob Beers and Rich Gray head over to the Dukeries area of north Nottinghamshire for good initial tester for the ultra season. A mixed and varied lot of runners here today to do both the 30 and 40 mile courses put on by Hobo events and definitely the most entertaining race briefing I’ve ever heard! 7:30am the race starts, it’s cool early on but the clouds soon shift to a quite lovely day, the one real XC bit is in the first mile where drainage problems see us shin deep in water for 100 yards, this is the only `OMG` moment throughout. Very soon it appears we are running in the garden of Eden or at least some of Mercia`s finest scenery, there are just so many picturesque places throughout the race it would be hard to pin point just one, stunning. Race splits at 6.5 miles with the 40 milers (including our mate Zoe from Hermitage Harriers) going via the Major Oak. Poor Rich has to listen to me blabber on about all kinds of things as we hit a selection of quaint villages and some prehistoric caves known as Creswell crags, before we know it we are upon the next checkpoint. Rich tells me to go on at 20 miles he either thinks I’m running exceedingly well or has earache, the marshal up ahead says the next checkpoint is 1.5 miles in reality it was about 4 miles. Having not worn a watch or anything, I’m quite happy to find out that I’ve “ Two Park run’s left” to go as I run off doing the maths in my head. Going very well and still passing people, quite a few walking from 20 miles, the terrain has been a good mix of everything without being hard going, certainly even Rich quoted it as `all runnable`. The mix of everything kept it interesting, it wasn’t just field after field , the navigation was spot on also-if I didn’t get lost anyone can do it! Knee started ceasing up about 28 miles and by 29 miles I was forced to have the odd cheeky walk due to it becoming painful. 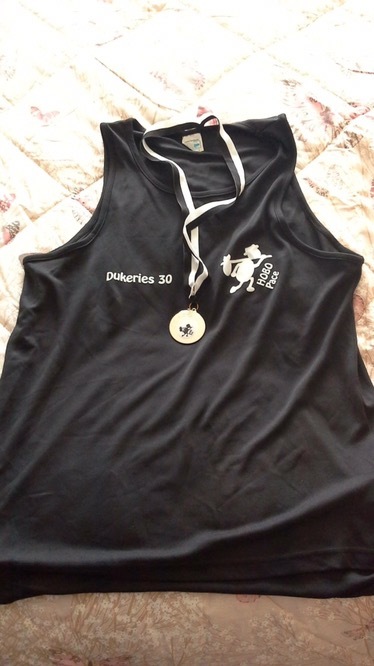 Sprint finish had more in common with `the Hunchback of Notre Dame` than Usain Bolt but I made it and loved the event, would recommend this highly for anyone looking at a longer than Marathon event or enjoying an off-road jaunt.